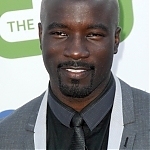 MIKE COLTER ONLINE @ mike-colter.com is a gossip and candids free zone. This site also does NOT post pictures of Mike in his private life, nor any photos of him in what should be considered his family time. We are a 100% paparazzi free zone. We will not post information that would be considered as rumours, or speculate on his life. Please respect Mike’s wish for privacy. For information on what is considered post-worthy, please read this site’s CANDIDS POLICY. 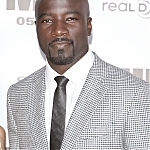 MIKE COLTER ONLINE @ mike-colter.com is a website dedicated to the work of American actor Mike Colter. I am in no way affiliated with his person, his management, nor his family. All content, except otherwise noted, is copyrighted to their original owners and no infringement is intended and no rights implied. 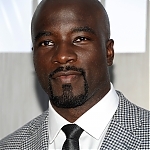 Content contained within are subject to fair use and used here either in whole or in part as a commentary on the work and career of Mike Colter. The site is not under free hosting, if you’re interested in helping keep the site alive, please consider giving a donation. Base amount should be no less than $5.00 USD. All donations will go to domain renewals, acquiring HQ photos for the gallery, and monthly hosting bills. Thank you! The first of many uploads for this site. Mike as well as his girlfriend (now wife) Iva attended a special screening of his film MILLION DOLLAR BABY. 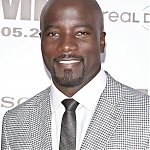 Please visit our gallery to find photos of Mike.